It is no secret within the aviation community that NOTAMS, even as provided in “plain” text, is time-consuming and difficult to read. Through extensive R&D efforts, we have moved beyond this limitation and proven translating text into an image is possible. 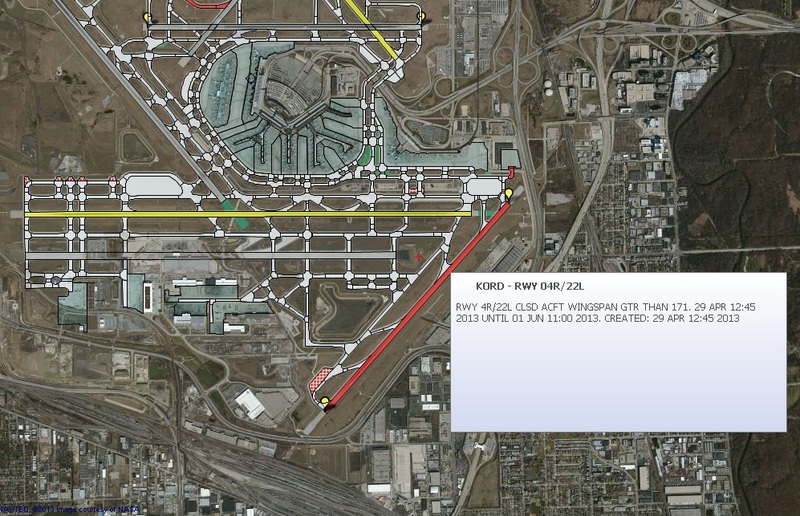 AeroNavData has completed this Proof-of-Concept and can offer Airport base map data that will allow Application developers to customize an effective solution by transforming coded FAA’s NOTAM text stream into a graphic displayed on a map. By visualizing NOTAMs rather than reading through a list of textual NOTAMS, pilots increase their situational awareness, improve the safety of flight, and strengthen flight preparation. 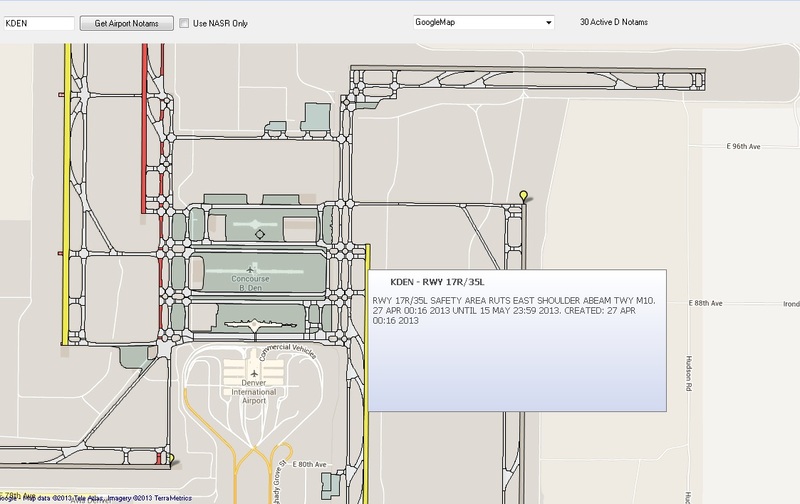 AeroNavData has made it possible for an application developer to transform textual NOTAMs into a simple to understand, intuitive graphic image. 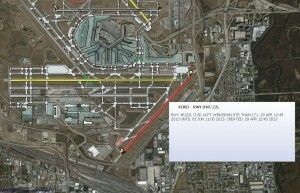 Visual NOTAM display of KDEN with Google Maps Overlay and pop-up NOTAM box. 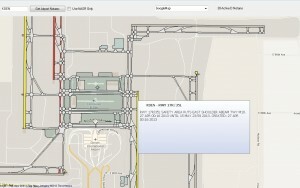 Airport Features including runways, taxiways, and aprons. Standard Instrument Departure Procedures (SIDs). Standard Terminal Arrival Procedures (STARs). 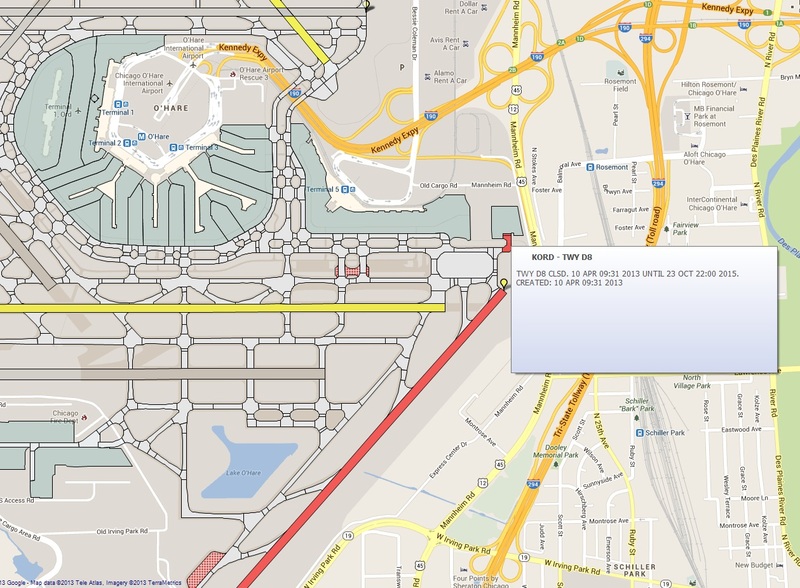 By graphically displaying NOTAMs that affect a specific en route procedure, a pilot will be able to digest information instantly and identify changes affecting their en route flight path. This will modernize flight planning for the pilot, controller, and dispatcher highlighting critical information directly related to the safety of flight. The advantages go beyond situational awareness and safety for the pilot alone. 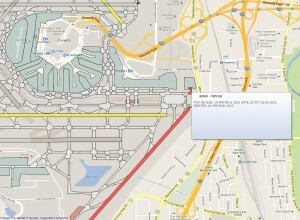 There are many sectors of the aerospace industry that could benefit from a customized Graphic NOTAM Visualization. These sectors include dispatchers, airline operations, aircraft controllers, and airport planners. Essentially, anyone who currently accesses published NOTAMs can take advantage of this revolutionary technology.